We are proud to be the recipient of the Angie's List "Super Service" Award for 2012, 2013, AND 2014!! "I called for an estimate to power seed. Tom, the owner, came out and measured and followed up with an email estimate. I accepted the estimate and got on his schedule to do the work... The whole experience was very positive and professional. Tom's communication and response time was very prompt, professional, and thorough. He was on schedule and all expectations were met!!!" Pewee Valley/Crestwood, Nancy D.
“Overall the service was excellent. The crew was on time and finished the job very quickly. The price was reasonable and I was very satisfied.” Anchorage, Patricia H.
“Tom landscaped our front yard. We were so thrilled with his work that we had him to our back yard. We have also had him perform work at a rental property of ours. His work is beautiful. It is both well planned aesthetically and is easy to keep beautiful. He considered our needs with regards to future maintenance. He kept his work within our budget.” Anchorage, Judy M.
“Tom is meticulous in his work, including mulching around a large number of individual plants. He has a great eye for pruning. The job was done quickly, ahead of schedule.” Lyndon, Linda R.
“They mulched and worked on the yard and made it beautiful. My experience was excellent.” Buechel, Sandra L.
“Tom never stops! Even in 100 plus degree weather. I would adopt him if I could! His work ethic is unsurpassed!” Buckner, Jan B. “Excellent. Tom consulted with us, listened to our issues with our yard & proposed a solution. He did the work very well & in a timely & professional manner. We received excellent results- a beautiful lawn where before there was dirt! He also selected a gorgeous, healthy tree for us & planted it, then visited it several times in the following months to check on it, prune it, etc. Tom is a trained professional-not just a yard-man. He knows his plants, loves his work, and is a pleasure to work with.” Anchorage, Karin T.
“Tom made a new bed on the side of our house that is beautiful. He planted a tree in the front yard and planted two new beds in front of our house. Tom was punctual easy to work with and did a fantastic job. He is also very neat & cleans up after himself. Highly recommend!” St. Matthews, Alayne V.
“Tom came to our house and gave his opinion on what needed to be done. They planted shrubs, re-built a pathway, edged, weeded, raked and cleaned, sodded, and cleaned up after construction. They made a mess look fantastic! He and his crew came on time and did a superb job! They went above and beyond. They put in new beds and shrubs. They made the place look 100% better.” Indian Hills, Franklin J. “Tom was very professional and knowledgeable about the job. He completely re-landscaped the front of my house. He came up with a beautiful plan that he executed perfectly and efficiently. I love my new from yard and will call Perfect Earth for all future landscaping needs.” St. Matthews, Stephanie R.
“Tom and the crew come in each Spring to clean debris and apply pine straw. When they leave not a piece of trash would remain. I spend the summer fielding compliments from passersby on my yard.” St. Matthews, Sarah P.
“Tom was very professional and great to work with. My yard looks fantastic.” Indian Hills, Pat S.
“Tom is very meticulous and extremely professional. He is a perfectionist. He goes above and beyond what he promises to do.” Middletown, Beverly M.
“Thomas has helped us with our landscaping, including leaf removal and spring cleaning. He comes by on a weekly basis during most of the year. This company is great! Thomas is a hardworking, thorough, and conscientious guy. I've been impressed by his excellent work ethic. He is willing to take on a wide variety of tasks and is always eager to please. I think he’s knowledgeable, reliable, and I would absolutely recommend him.” Indian Hills, John W.
“Perfect Earth handles my landscaping. They come by on a regular basis during the spring and summer. This is a good, local company. The owner is experienced and skilled, and he performs work himself. 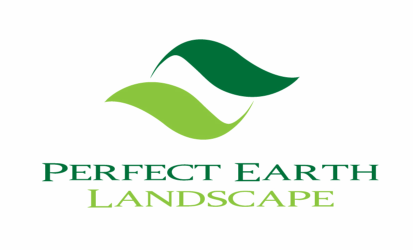 I think his prices are reasonable compared to others, and I’d recommend Perfect Earth to others.” Highlands, Gabe D.